We exclusively reported three months ago that Samsung is working on the Galaxy C7 Pro, a higher mid-range Android smartphone. The device was supposed to be unveiled this month, but its launch was allegedly delayed until January 2017. Specifications and images of the Galaxy C7 Pro surfaced yesterday, courtesy of TENAA. 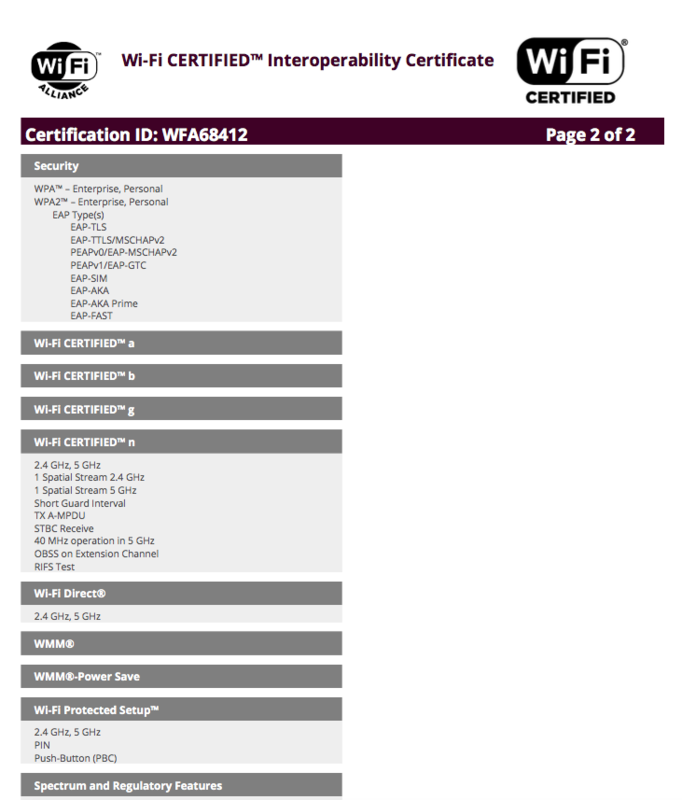 Now, the device has received Wi-Fi certification from the Wi-Fi Alliance. 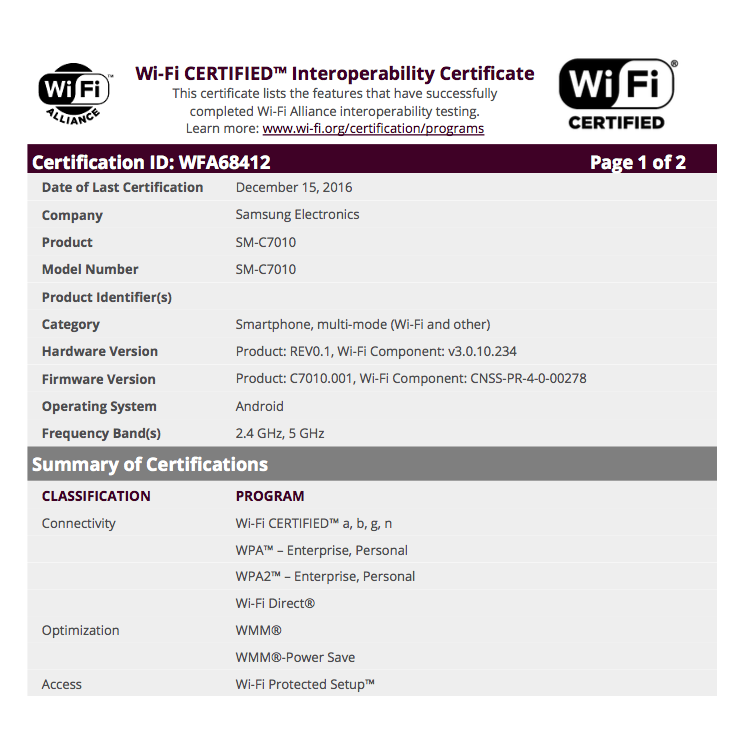 The Wi-Fi certification documents reveal that the Galaxy C7 Pro (SM-C7010) is compatible with dual-band Wi-Fi a/b/g/n and Wi-Fi Direct connectivity standards. It features a metal unibody with a unique antenna design, a 5.7-inch Full HD Super AMOLED display, a 2.2GHz octa-core processor, 4GB of RAM, 32/64GB of internal storage, 16-megapixel primary and secondary cameras, and a 3,300 mAh battery.